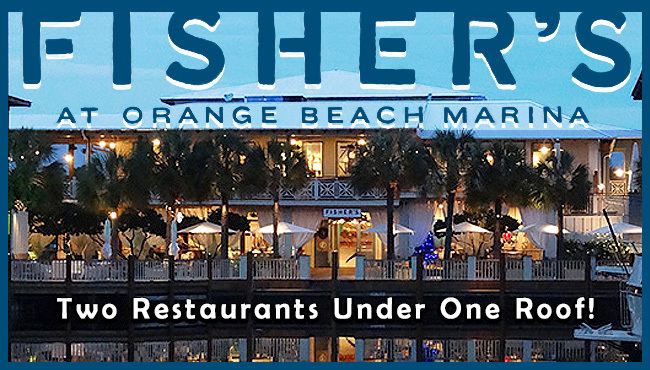 Fisher's at Orange Beach Marina houses two restaurants under one roof, each devoted to creating mouthwatering cuisine that complement the two waterfront dining experiences: Upstairs and Dockside, both of which are recommended by Southern Living. Dining Upstairs Fisher's Upstairs is an upscale dining experience without pretense. 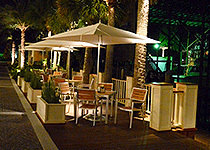 Enjoy indoor and outdoor seating and two beautiful bars. Chef Bill Briand's seasonally inspired menu celebrates local ingredients and his Louisiana heritage. Reservations are suggested. April-September! 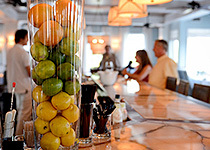 Dockside Delight Fisher's Dockside accepts large party reservations on a limited basis for dining during quieter times (such as weekday afternoons or early lunch). We usually do not take reservations for dining during busy times such as evenings, weekends or holidays. We seat guests in the order that they arrive once the entire party is present." 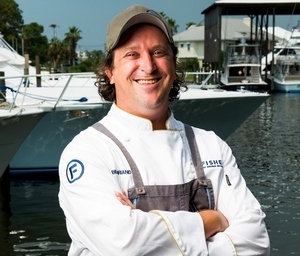 Our Executive Chef Bill Briand, spent seven years with Emeril Lagasse and nine with James Beard Award winner Donald Link while working in the great kitchens of Emeril's, Herbsaint, Cochon and Butcher. Fisher's sources ingredients from the best farmers and fishermen in the area to ensure that they are the finest and freshest available. DOCKSIDE: Monday - Thursday 11am - 9pm Friday & Saturday 11am - 10pm Sunday 10am - 9pm Sunday Brunch served 10am - 1pm 251-981-7308 We take Reservations!